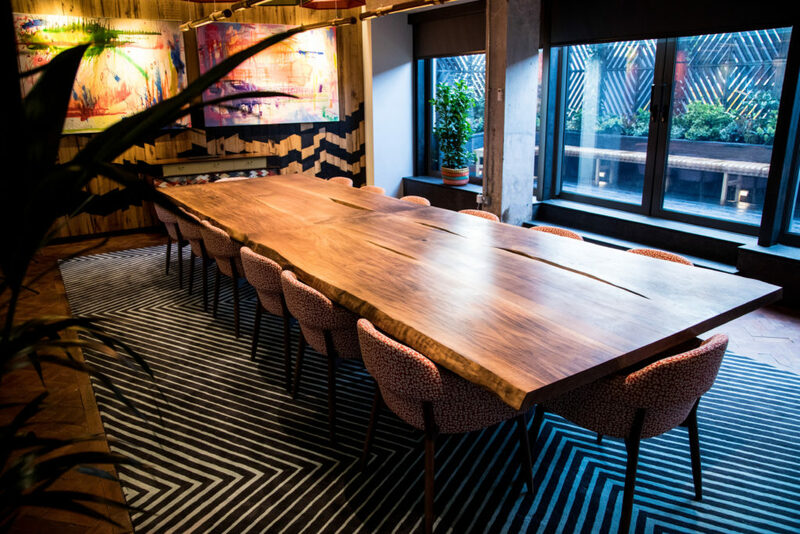 This stunning Walnut board room table is one of our latest projects for Nando’s Head Office in London. Designed by Fusion DNA and crafted by Forest to Home, this table is the centre piece for Nando’s exceptionally creative head office reception floor. 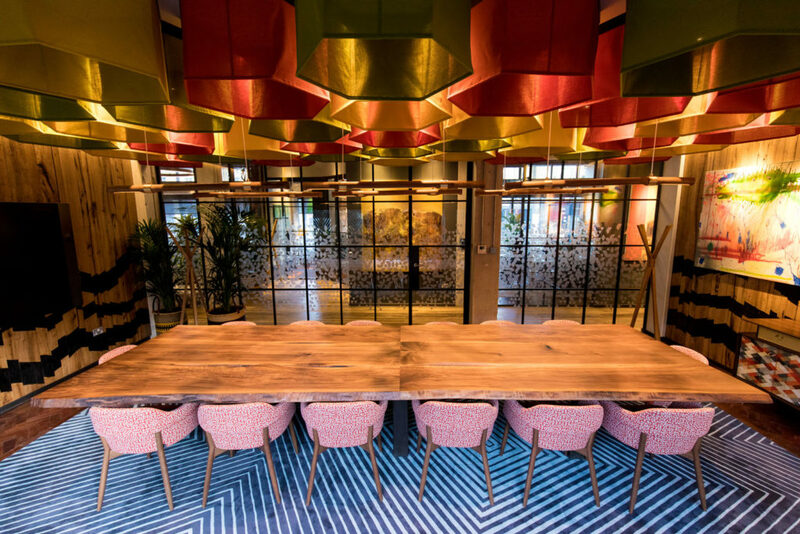 For this project we worked alongside the Architect to help them create a truly inspiring and empowering space for the Nando’s team! 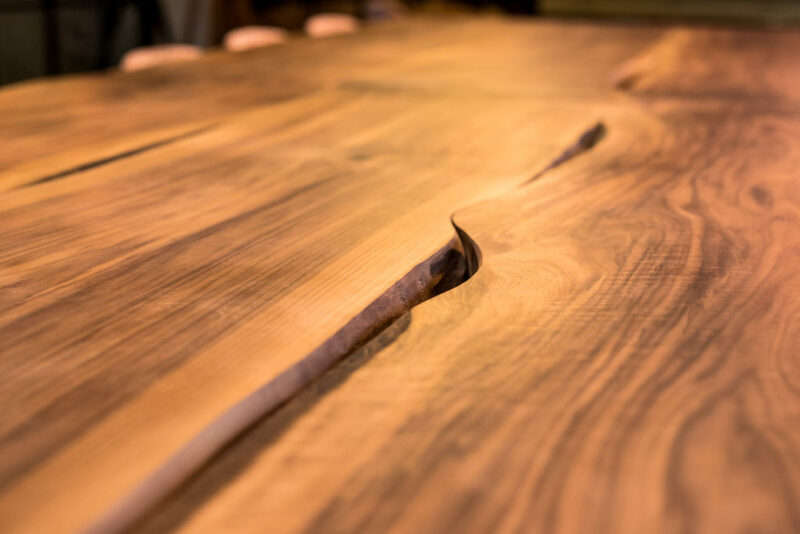 Honoured to be asked to produce such a significant piece of furniture, we invested time and effort to source the finest timber in order to produce a one-of-a-kind table of outstanding beauty. 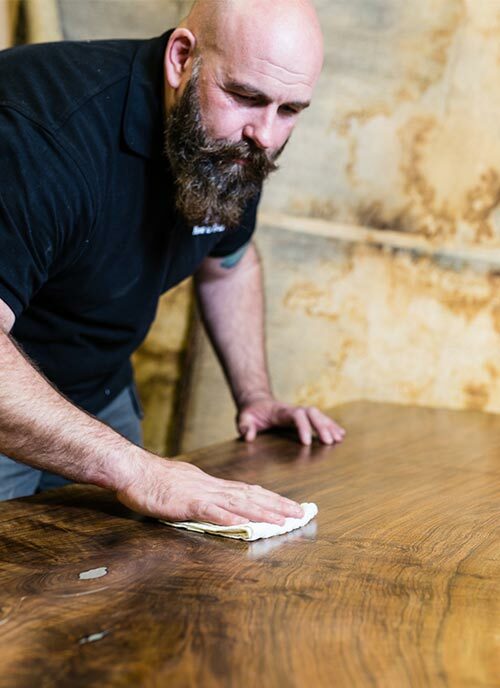 We set about personally visiting a number of Timber Mills across the UK whereby we were able to acquire six rare and exquisite pieces of FSC Rippled Walnut from a local Timber Mill in the South East of England. We began hand crafting the Walnut into this noticeably large 1.6m x 4.8m table top, retaining as much of the live edge features as possible. 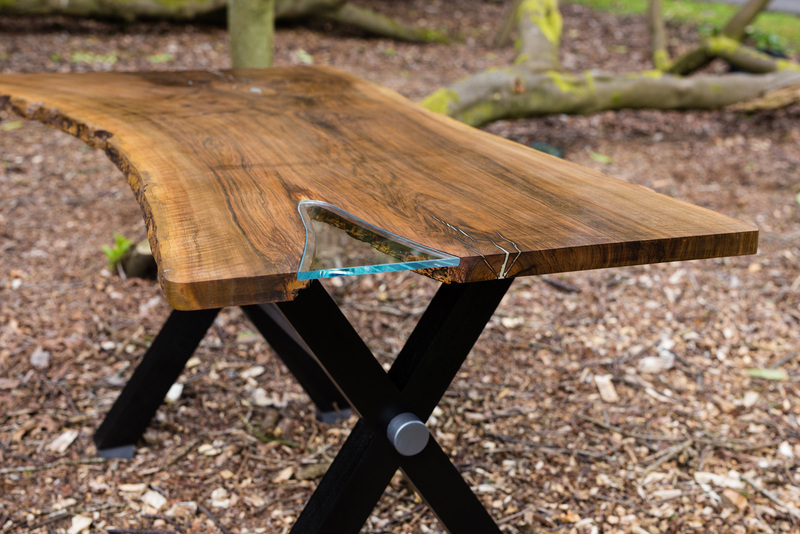 We used a design called bookmatching to adjoin the six Walnut slabs together to mirror each other, giving the impression of an opened book and then smoothed the edges into an ergonomically functional finish, enhancing the natural features of the wood and intensifying the stunning grain with a special hard-wearing oil. Showcasing purposefully deep timber slabs and large enough to seat fourteen chairs, the substantial table is not only abundant in size, it is considerably heavy too! It took eight people to lift it into place and two people to assemble the final construction. 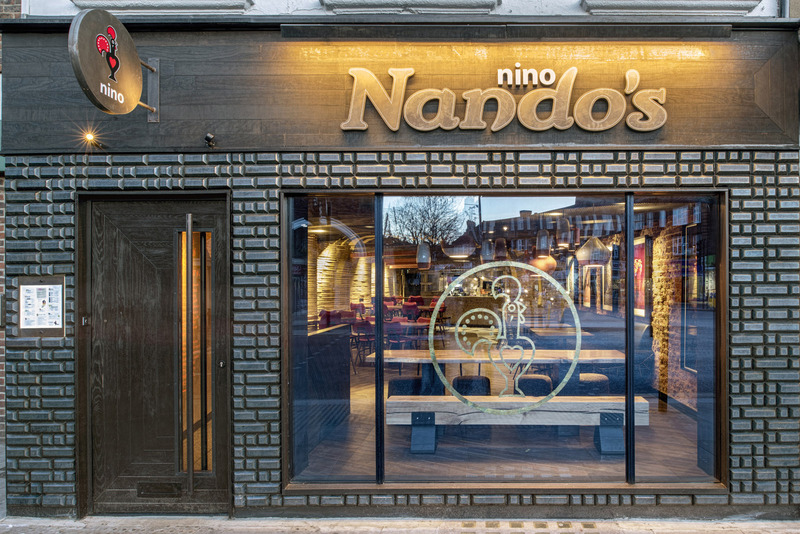 The Forest to Home team spent two days on site at the Nando’s head office, meticulously applying the final and perfecting finishes by hand to ensure flawlessness in the finished piece. 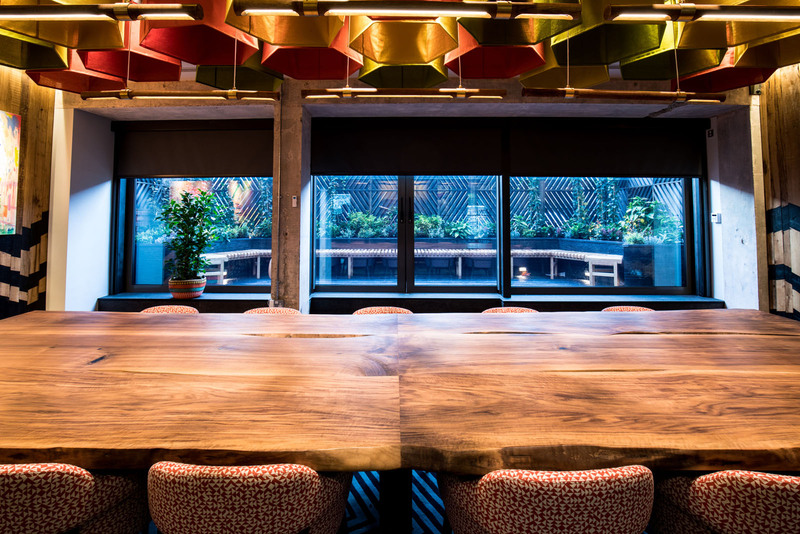 With legs made from industrial blackened steel and hidden pockets for the concealment of twelve cables and sockets, the board room table is fully functional as well as a sensational focal point for Nando’s new offices.